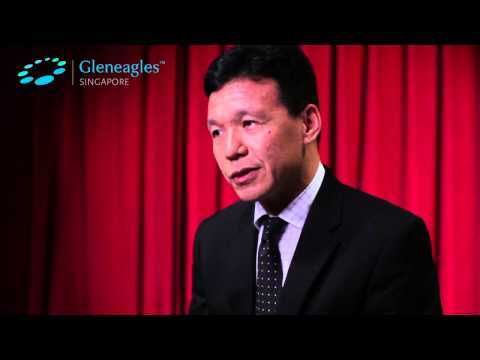 Dr Lim Lian Arn is currently an orthopaedic surgeon at Gleneagles Hospital Singapore, with a special interest in knee and hip replacement and knee ligament reconstruction surgery. Dr Lim completed advanced training in joint replacement at the Mayo Clinic in 1998, focusing on primary and secondary knee and hip replacement surgery. He is experienced in minimally invasive, computer-assisted, robot assisted and partial knee replacements. He also performs minimally invasive and ceramic hip replacement surgery as well as hip resurfacing for hip arthritis using the Birmingham Hip. An avid marathon runner himself, Dr Lim has a personal interest in sports injuries of the knees and shoulders and performs keyhole arthroscopic surgery as well as cartilage transplantation surgery for ligament and cartilage injury. Conditions he treats include ankle instability, anterior cruciate ligament (ACL) tears, carpal tunnel syndrome, hallux valgus, hip arthritis, knee arthritis, meniscal tears, osteoporosis, prolapsed intervertebral discs, recurrent shoulder dislocation, rotator cuff tears, shoulder impingement, trigger finger and wrist fractures. As part of his work Dr Lim travels annually to Yunnan in China to perform orthopaedic surgeries for minority tribal people. Dr Lim also visits Indonesia often to informally follow up with his patients in their hometowns. During the course of his work Dr Lim has picked up Bahasa Indonesia which he uses to converse with his patients. An orthopaedic surgeon (who’s also a marathon runner himself!) shares top tips for surviving your first marathon without injury.